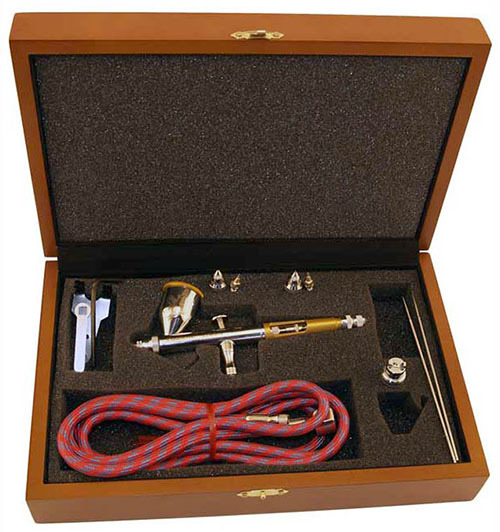 Looking at the Paasche TG-3W Airbrush Set in more detail we would also like to underline its extreme durability. 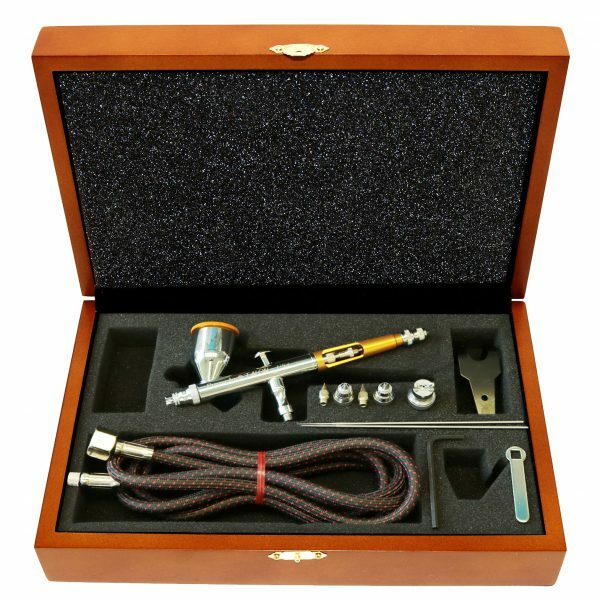 To that end, the manufacturer has made a chrome plated airbrush with the anodized aluminum handle. Next to the rust-proof rigid body, the airbrush features highly polished stainless steel needles allowing for unlimited painting possibilities. That is due to three different-sized solvent-proof needles that enable a user to apply any type of paint in several ways. Using them, it’s easy to get from finely elaborated lines hair-thin lines to 3-inch spray patterns. Besides, such materials of the package facilitate cleaning and maintenance of the device.